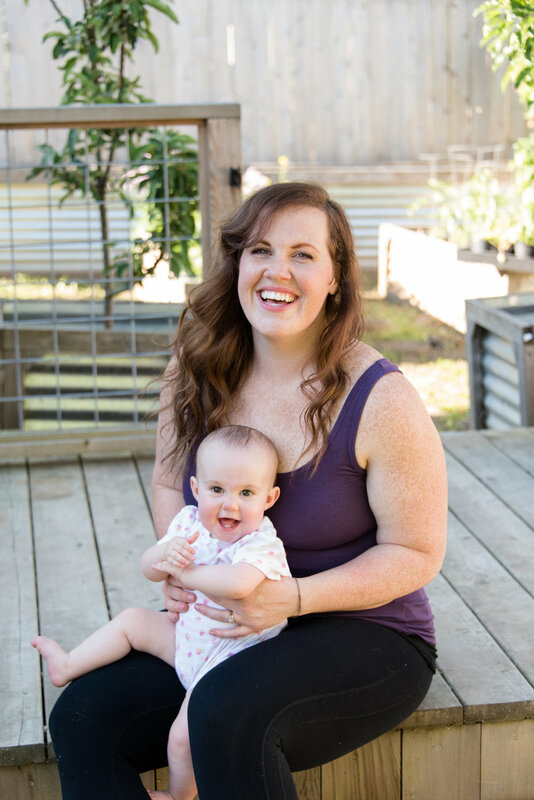 During the most recent BIRTHFIT Prenatal Series, we spent some time chatting about the joys and challenges of nursing, nutrition to support healthy milk supply and specifically galactagogues (side note: if you say it fast enough it sounds like “galactic hugs”). Galactagogues are substances that increase milk supply during breast-feeding. The most commonly used herbal galactagogues are fenugreek, blessed thistle and alfalfa. (1) Not everyone needs a galactagogue and if you are concerned about supply before diving into the supplement aisle, connect with a lactation consultant! Things like latch, positioning, tongue-tie, and more can impact mom’s supply and babe’s ability to extract milk. Another important aspect of maintaining a healthy supply is ensuring you are nourishing your body well! While baby is now on the outside, but you are still growing a tiny human! This means eating a nutrient dense diet, taking your prenatal supplements, and staying hydrated are absolutely key to not only maintaining a healthy milk supply, but ensuring you are getting the nourishment to heal! Foods that are associated with healthy milk production include oats, dates, almonds, and brewers yeast (not nutritional yeast). Pinpointing why these foods work isn’t always easy, but they’ve been used traditionally in different cultures for MANY MANY MANY years. B Vitamins! Brewers yeast provides important B vitamins that boost energy and mood and pass on necessary nutrients to baby. Calorie content! Again, adjusting to a newborn schedule often means that we aren’t consuming as many sheer calories as we need to heal, grow and feel like a human. Having grab & go nutrient dense options, and not just processed convenience foods, is vital to the postpartum period. Need a grab and go nursing snack? I keep a supply of dry roasted almonds, chocolate (hey, magnesium y’all! ), toasted coconut flakes, and these lactation energy bars handy. (I also have a GIANT BOTTLE of water with a straw). There are two variations of these bars, one with eggs and one without for those who may have sensitivities! The perfect gluten and dairy free snack to help support a healthy milk supply while nursing. In a large bowl combine oats, almond flour, coconut flour, coconut sugar, brewer's yeast, spices, baking soda and salt. In a separate bowl, lightly beat the four eggs and then add the pumpkin and coconut oil. Create a well in the center of the dry ingredients. Mix the wet ingredients into the dry until well incorporated. Gently fold in the chopped dates, coconut flakes, and chocolate chips. Remove dough from fridge and place 1/3 of the mixture on large sheet of parchment paper. Cover dough with a second piece of parchment paper and using a rolling pin, shape dough into a large rectangle 1/4" thick. Bake in center rack of oven for 15 minutes. Allow to cool for 5-7 minutes on baking sheet before transferring to counter to cool. Repeat with remainder of dough! Cut into 3 inch rectangles and store in the fridge for up to 10 days or in the freezer for up to 3 months. Alternatively: If you don't want to cook all the cookies at once, you can freeze the dough for future use. Roll it out into 1/4" rectangle, wrap in parchement and plastic wrape, and store in fridge! The perfect snack to help support a healthy milk supply while nursing. In a separate bowl, combine water and flax seed. Allow to sit for 2-3 minutes. Add pumpkin, coconut oil to flax seed slurry and whisk together until well combined.